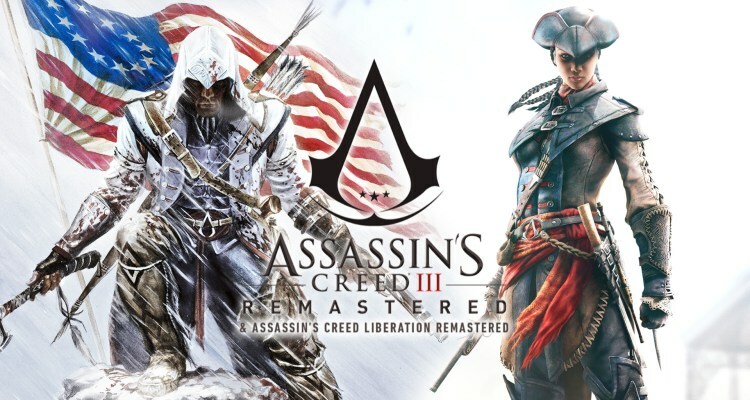 Through the French magazine Micromania, it has become known that the remastered versions of Assassin’s Creed III and Assassin’s Liberation Remastered will be available free of charge for Season Pass holders of Assassin’s Creed: Odyssey on March 29, while who want to buy individually, will cost $ 39.99. What are the improvements of the remastered version? Assassin’s Creed III has been remastered for the PlayStation4, Xbox One and PC systems. Now it presents 4k and HDR in PS4 Pro, Xbox One X and PC, 1080p in PS4 and Xbox One, higher resolution textures, new lighting rendering system, and several other graphic improvements. In addition, depending on the comments of the players, the mechanics of the game has also been improved, with several functions that have been modified. Hidden Secrets Pack – 3 missions for an additional hour of game, which will take you from the Mayan Ruins Lost to the high seas. Tyranny of King Washington (all episodes: The Infamy, The Betrayal, The Redemption) – A 3-part story that explores an alternative reality in which George Washington goes mad with unlimited power, renouncing the presidency to rule as a tyrannical king . In this alternative world, Connor is and remains Ratonhnhakéton. Since he has never become a murderer, he must endure new tests, acquire the skills he will need to defeat a possessed Washington and win. freedom for their land once and for all.